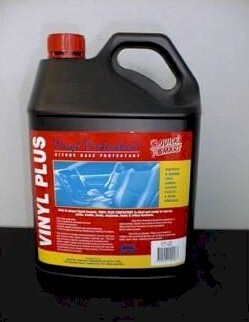 Vinyl Plus Protectant is a safe and unique liquid formula. Vinyl Plus protects and renews vinyl, rubber, leather, plastic and wood surfaces. Ideal to use on auto, truck, home and office furniture. Available in a 1 Litre Trigger Spray for easy application.